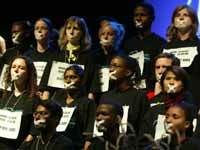 The dramatic presentation on HIV/AIDS and homosexuality highlighted a youth open hearing at the LWF Assembly this morning. The hearing focused largely on the issues of HIV/AIDS and human sexuality. "Let us fully break the silence," said James Tan of Malaysia. "Let us make prevention a priority." 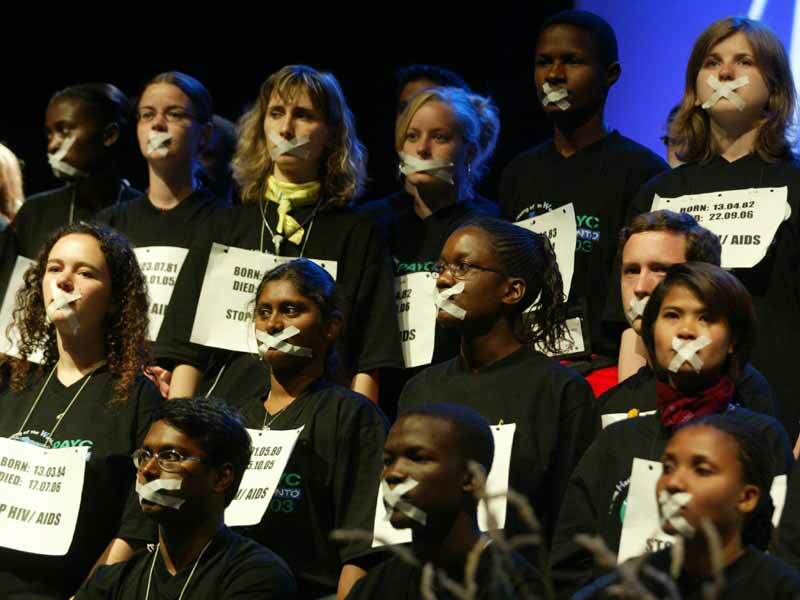 Graphically illustrating their point, youth delegates wearing black T-shirts stood silently on stage, their mouths crisscrossed shut with masking tape. Around their necks hung signs with the birth dates and death dates of nameless people. At the bottom of the signs in capital letters was the line: "Stop HIV/AIDS." Finally, on cue, the youth members removed the tape, symbolizing open communication about the dreaded disease sweeping across many countries. The profile of youth has changed dramatically in the life of the LWF since 1947. At the first Assembly in Lund, Sweden, a `Commission of Youth Activities' was created because young people were an object of concern. 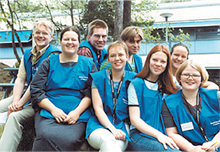 In 2002, youth are active participants within the work and leadership of the Federation. They comprise 20 percent of delegates to each Assembly and 20 percent of members in the LWF Council, the highest decision-making body of the Federation between Assemblies. One young Council member, Dr. Mary Janssen van Raay, is vice-chairperson of the Tenth Assembly Planning Committee. Encounter of Lutheran Youth—WELY,' was attended by forty-nine young people. 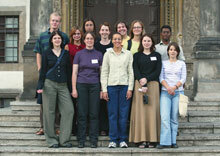 Seven served on the Steering Committee of the LWF Fifth Assembly, which met soon after in Evian, France. The 1984 LWF Seventh Assembly in Budapest, Hungary, decided that delegate participation in future Assemblies would have regional and gender balance and would include at least 20 percent youth. 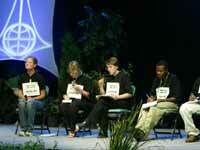 The 1990 LWF Eighth Assembly in Curitiba, Brazil, elected seven youth, 20 percent, as full Council members. The commitment that 20 percent of Assembly delegates from each LWF geographical region be youth remains essential. For each Assembly, on a rotating basis, all churches are urged to adhere and nominate youth delegates to ensure the commitment is upheld.